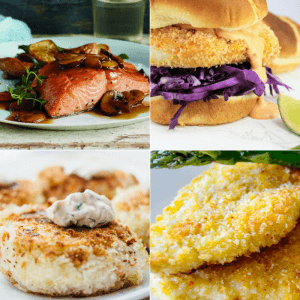 20 Recipes for Fish “Fry” Friday’s! 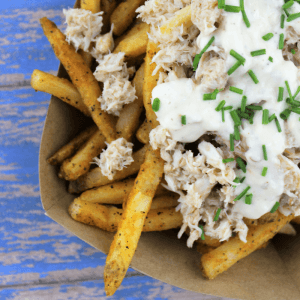 I rounded up some of the best fish recipes on the web just for you. 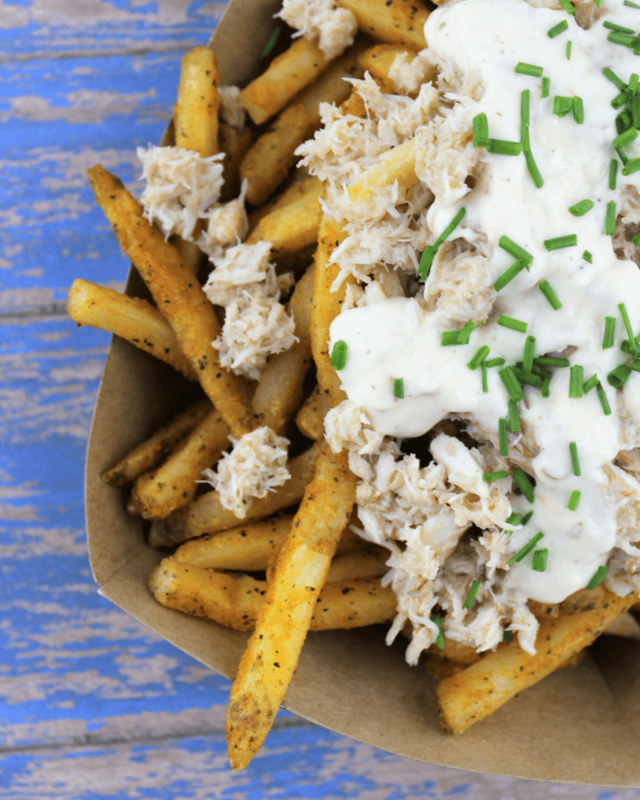 Here are some amazing options for healthier cooking of fish. Salmon to cod, oven baked to pan fried, pastas so fish cakes. Whole Baked Fish at Home by Bacon is Magic. 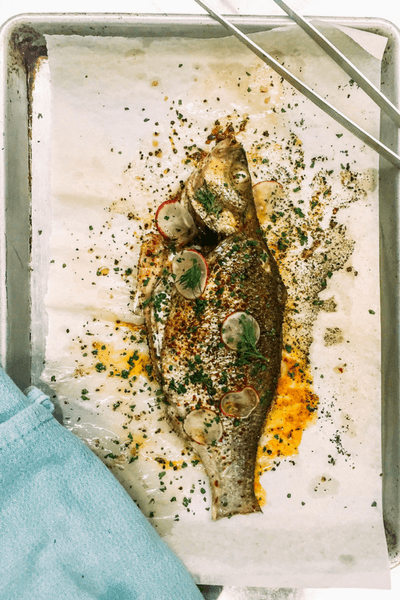 Super simple recipe to cook the whole fish. How much do you love this websites name? 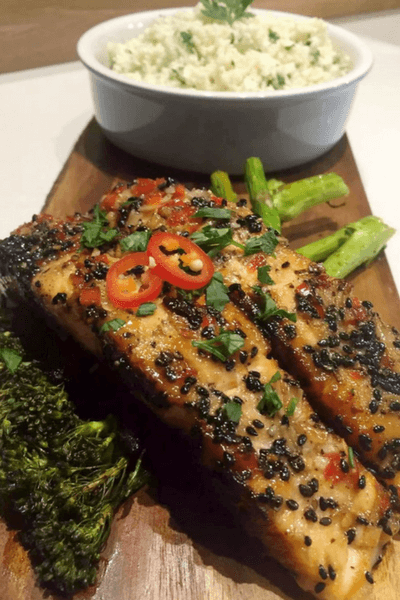 Sweet Chili Salmon with Sesame Seeds from Emma Eats and Explores with honey, garlic, red chili and sesame seeds. 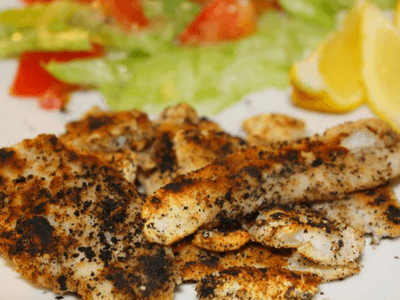 Easy Fish Recipe for the SCD Diet by Thirty Something Supermom. 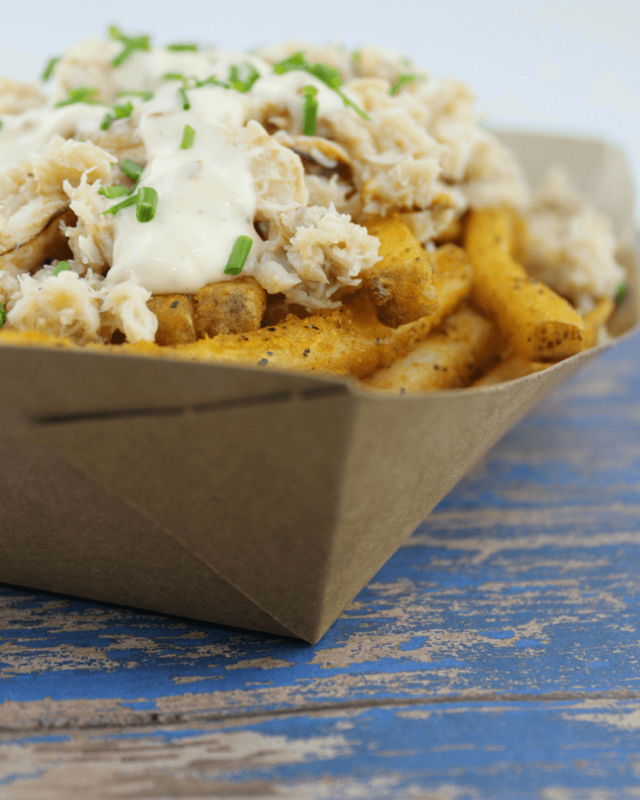 This recipe is for any type of fish! 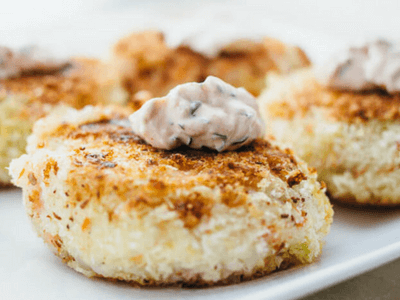 Smoked Salmon Potato Cakes by Savory Tooth will a spicy dill garlic dip. 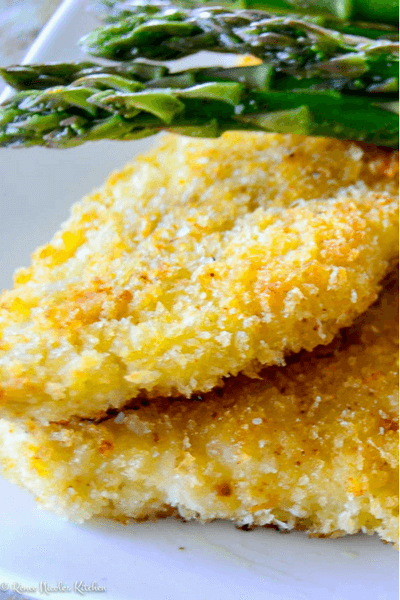 Panko Crusted Oven Fried Rockfish Fillets from Renee Nicole’s Kitchen. 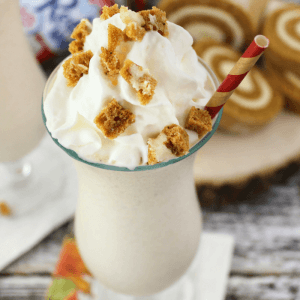 Looks like a perfect family friendly dinner option. 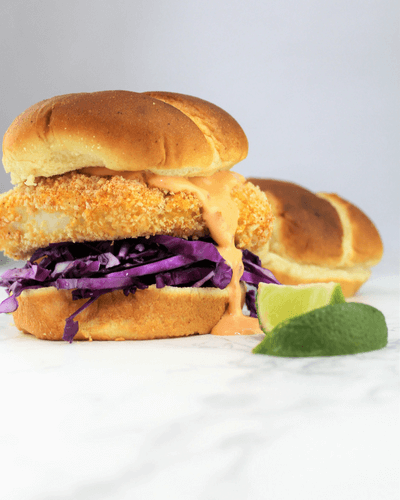 The Crispy Baked Cod Sandwich from here at Simply Made Recipes. 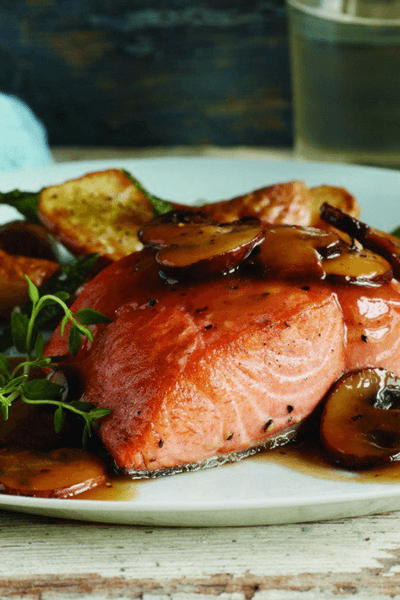 Salmon Marsala from The Jenny Evolution. 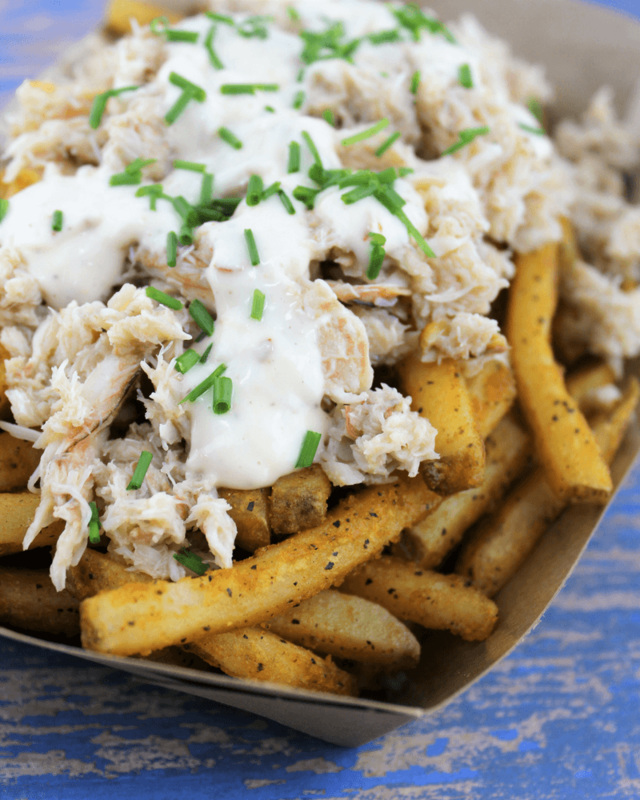 I am literally drooling over this dish. 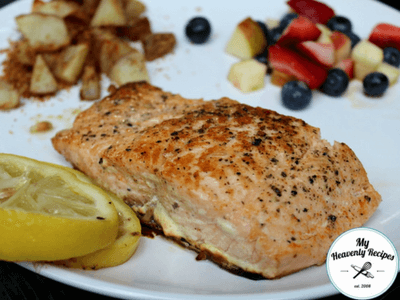 Crusted Cayenne & Lemon Salmon from My Heavenly Recipes.